CCTrees is closed for the season. We thank the more than 500 friends that came to our Farm this 2018 year. We hope to see most of you in the early winter of 2019. 2019 brings another year for your choice of a Real Tree or Greenery or Gift Shop item for your home or special place. Marlene and Eldon would like you make this another year for “Keeping the Tradition Alive”. CC Trees is located just 6 miles from Topeka and can easily be located off Southwest 93rd street and Wanamaker Road south of Topeka. 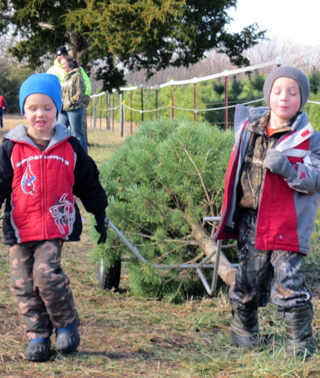 Visitors can walk to our fields to choose their tree. We have three trails to the trees, Elf Trail, Cedar Trail or our newest Deer Trail. If you prefer to cut your own tree, we have farm fresh Scotch Pine, 5 to 14 feet. We have lots of 10 to 14 feet trees, just perfect for the taller rooms. 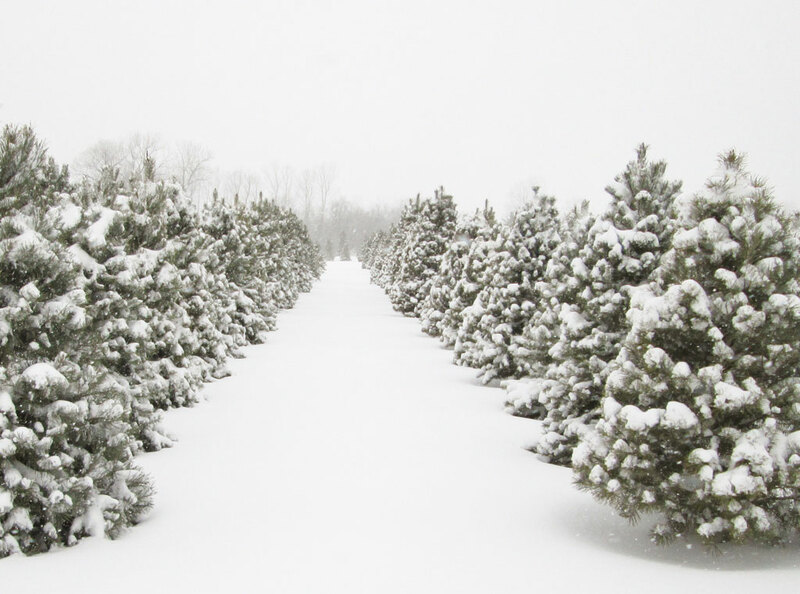 Our pre-cut trees are in the barn, available in all kinds of weather. These trees are Fraser Fir and Douglas Fir from Michigan. Marlene and Eldon have operated Country Christmas Trees for 30 years in order to keep the tradition of the family Christmas tree outing alive. Travel down Wanamaker Road until you pass the roundabout at Washburn Rural High School, continue South until you come to the stop sign which will be 93rd and Wanamaker. A sign there will direct you East with arrows to our Farm. Cross old Hwy 75 and come to Burlingame Road and 93rd. We are located 1/2 mile West of Burlingame on Burch Road. You will see a sign at 93rd and Burch that will direct you North to our Farm. We are east of Auburn Road. Come 93rd on East of Auburn to Wanamaker Road. We are 1/2 mile East of 93rd and Wanamaker on Burch Road. A sign at 93rd and Burch will direct you to our Farm. Come to 93rd and Wanamaker, or up Auburn Road to 93rd. A sign will be located at 93rd and Wanamaker to direct you East to Burch Road. A sign there will direct you to our Farm. Hours are 9 am to 5 pm on the Sunday before Thanksgiving and Friday after Thanksgiving, and then Weekends until sold out. Our newsletter will keep you updated with Country Christmas Trees' news.